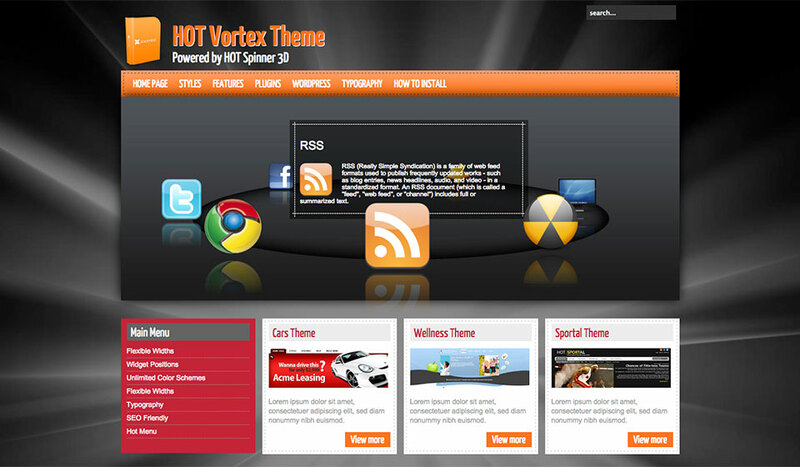 At the same time, we are releasing the Hot Vortex theme and the Hot Spinner plugin. Together, the Spinner plugin and the Vortex WordPress software theme work as a team to help you create a WordPress site about the software you are selling, hardware, or maybe a site for other purposes. This theme has many widget positions. You can create very complex sites with many blocks of content, and also simple sites with just several published widgets. The most prominent place in this theme is reserved for the interactive 3D rotation of images that represents several products (or kind of products) that you offer on your site. 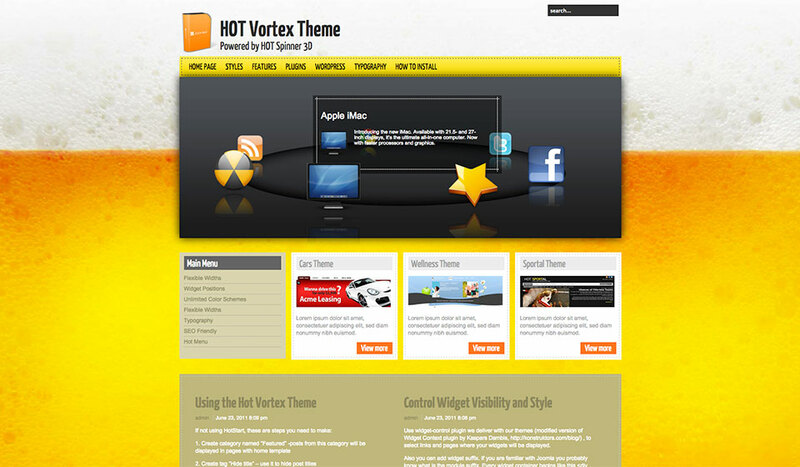 The Hot Vortex is a WordPress software theme that comes with four predefined styles, but since it has many backend options, you can create your own styles. It’s based on a tableless code without inline styles, 100% CSS, and it validates with XHTML 1.0 transitional standards. 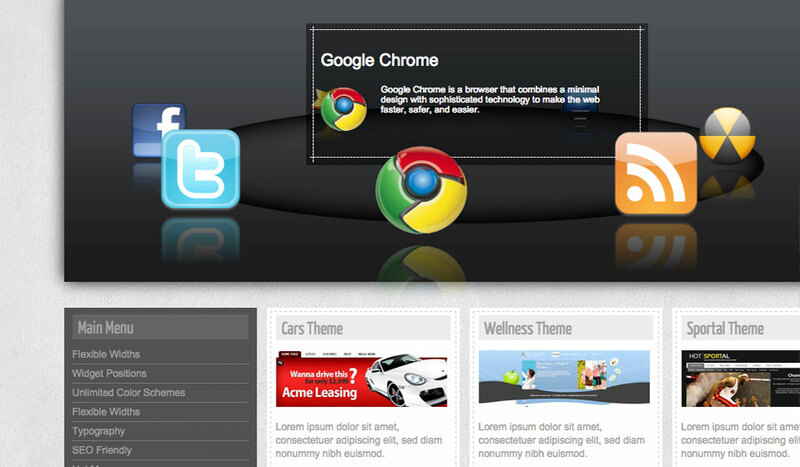 This WordPress software theme has flexible widths of the left and the right column and main body. In the theme’s options, you can select widths of each column, as well as the overall theme’s width. In addition, you can select the order of the columns: Left-Content-Right, Left-Right-Content or Content-Left-Right. 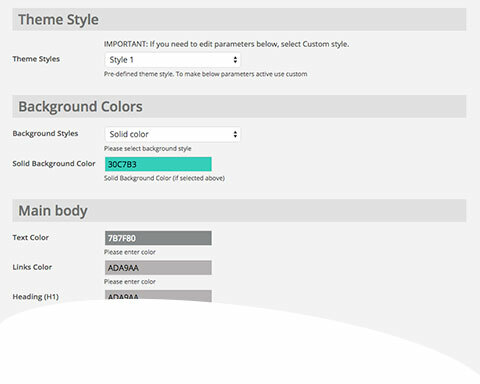 Four predefined theme styles are included with the infinite color combination. You have the ability to change almost every color (font and background) in the theme’s options. 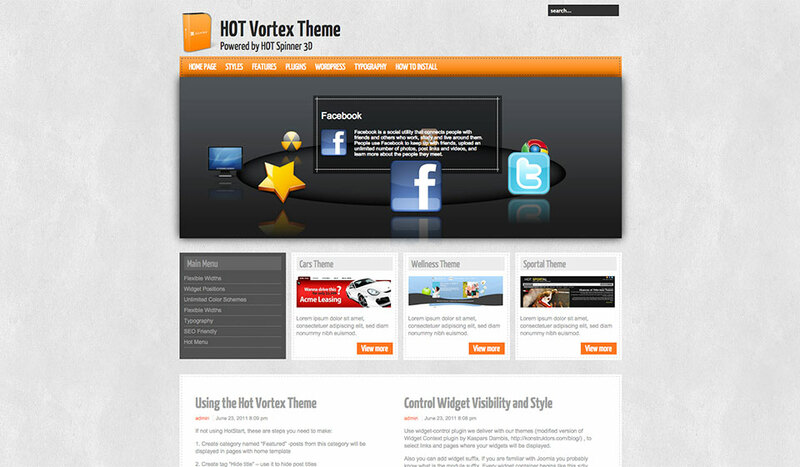 With this theme, you’ll get Hot Spinner plugin without an additional fee (value $15) and several other plugins. 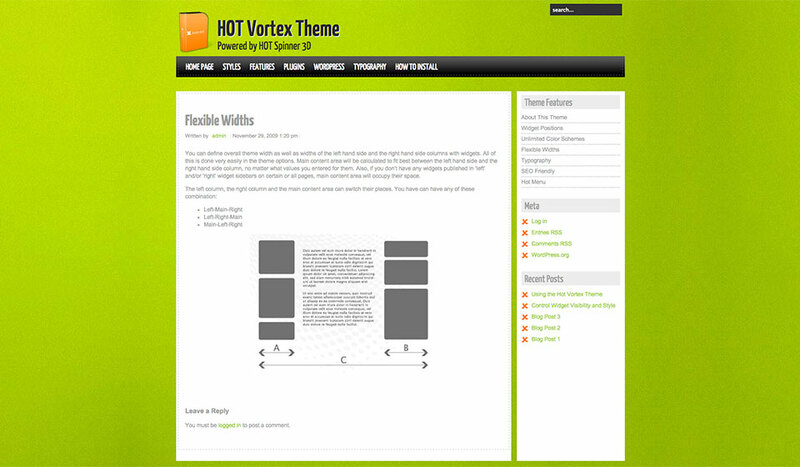 Vortex uses Google Fonts API. The reflection script for images, sliding top panel and back on top button scripts are included.